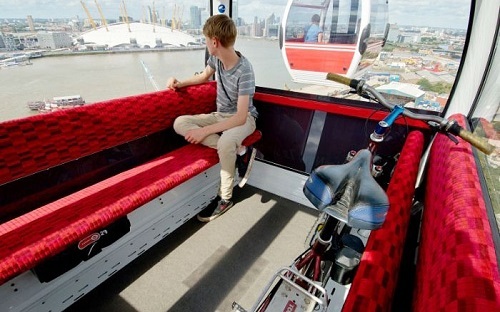 London has a number of bridges and tunnels across the Thames, however if you would to travel across the Thames in a more novel way consider the Emirates Cable car. The Emirates Air Line (also known as the Thames cable car) is a ten-minute gondola lift link across the River Thames in London sponsored by the Emirates airline . 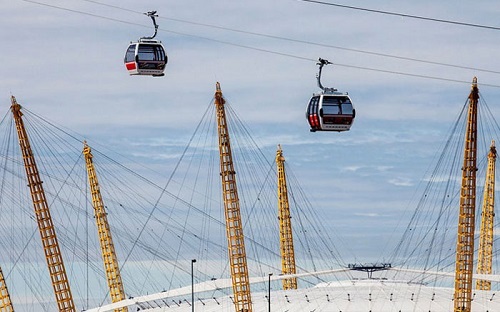 The service opened on June 2012 and is operated by Transport for London.The construction of the Cable Car cost around £60 million, and consists of a 1-kilometre (0.62 mi) gondola line that crosses the Thames from the Greenwich Peninsula near the O2 to the Royal Docks near the ExCel Exhibition Centre. 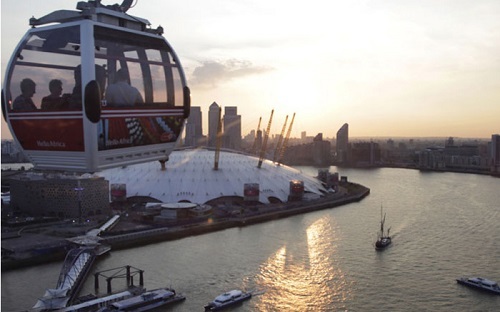 It is the first urban cable car in the United Kingdom, it crosses the river at a height up to 90 metres (300 ft), higher than that of the nearby O2 Arena. The cable car provides a crossing every 15 seconds, with a maximum capacity of 2,500 passengers per hour in each direction. 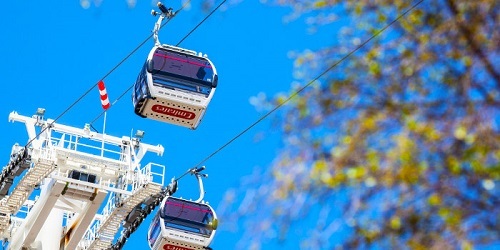 There are 36 passenger gondolas, of which 34 are in use at any one time, with a maximum capacity of 10 passengers each. The service started in June 2012 and became a very popular mode of transport for those attending Olympic events at the O2 and Excel, however since the Olympics passenger numbers have fell dramatically. It is a interesting and relatively inexpensive trip with great views of the O2, Canary Wharf and the Royal Docks.